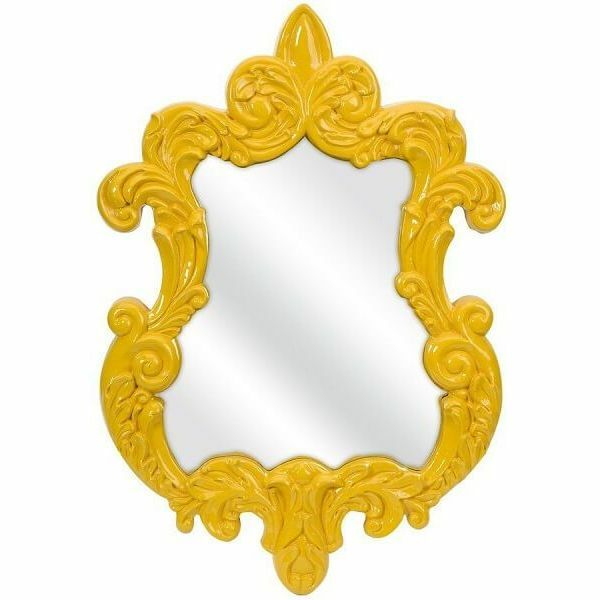 Bring a taste of royalty into your home with this baroque mirror. Its premium cast urethane and metal gives it an elegant touch with the highest level of durability. A beveled mirror design blends the mirror’s corner perfectly with its frame, and it is an excellent safety measure if you have little ones roaming around your home. Due to its practical size, this mirror will look great regardless of if it is placed in your bedroom or put on display in your family room. If you like the antique look, you will love this mirror. 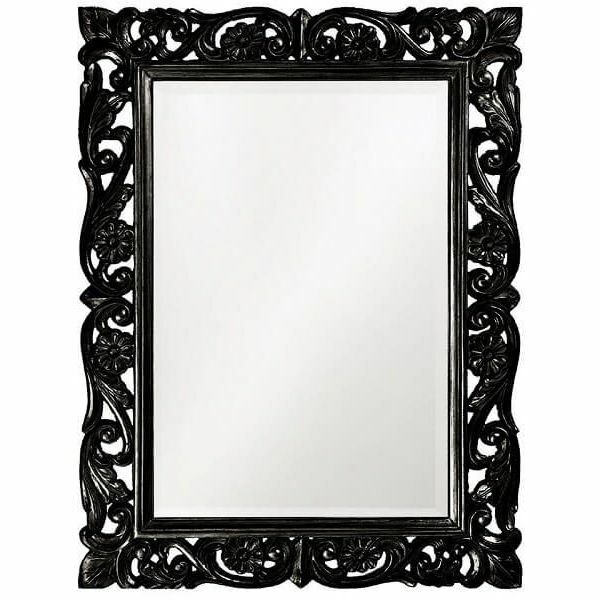 Your love of classic art styles can be incorporated easily into your decor with the inclusion of this Millennium Art Framed Baroque Style Plastic Framed Wall Vanity Mirror. The gorgeous mirror features baroque-style silver-toned framing and with its plastic construction is lightweight and easy to hang. The round baroque mirror does a very nice job of combining elegance with durability. The intricate shaping assembled with utmost amount of precision will continue to draw the attention of you and others for years to come. Of course the yellow finish that produces a fun appearance also plays a large role in how well this mirror will stand out in your home. The compact size of this mirror would make it ideal to be placed in your bedroom or in an entryway. Be sure to check this baroque mirror out as you will not be disappointed. Dimensions: 12 1/2″ x 1/2″ x 20″ high. This mirror disproves the theory that a piece cannot be elegant if you do not spend a fortune. Do not let the smaller size of this baroque mirror fool you as it is also extremely durable. A wooden frame covered in a generous, weathered white finish gives this mirror the aged and distressed look so many people crave. The mirror is easy to hang, and it will enhance the appearance of any room. 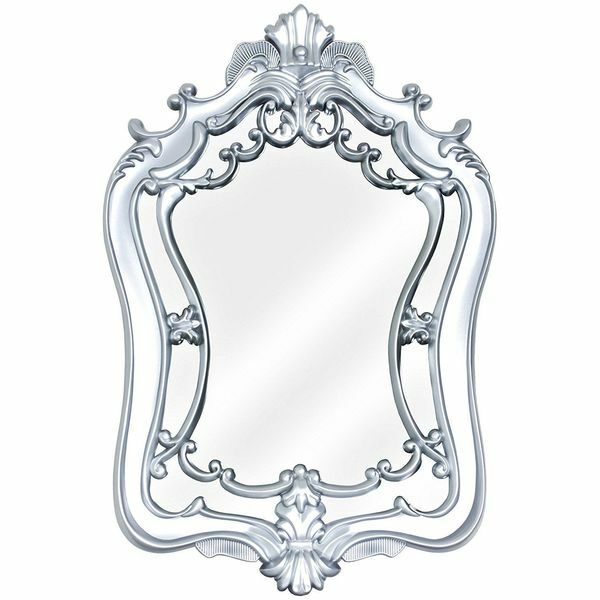 Make this very reasonably priced baroque mirror yours today, and do not be surprised if your home soon feels like a chateau. 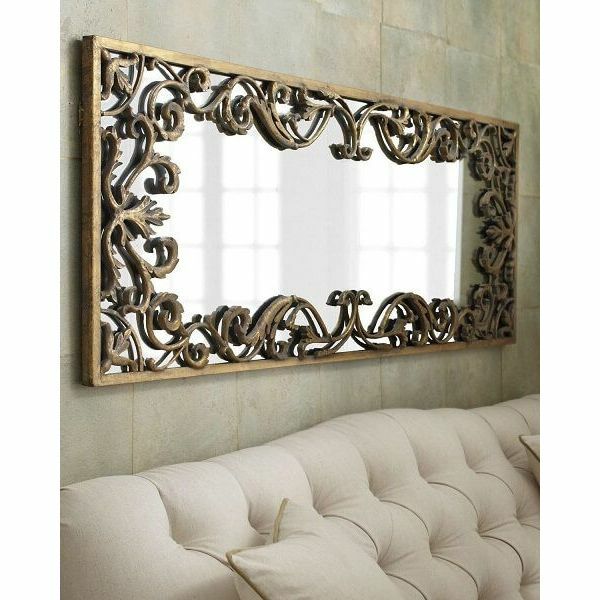 Enhance the appearance of your home’s interior with this incredibly elegant baroque mirror. The frame of the mirror has a professionally rusted and distressed appearance, which will do an excellent job of complimenting your other pieces of vintage décor. The deepness of the frame provides for an extra level of durability, and it draws even more attention to the unique mirror. 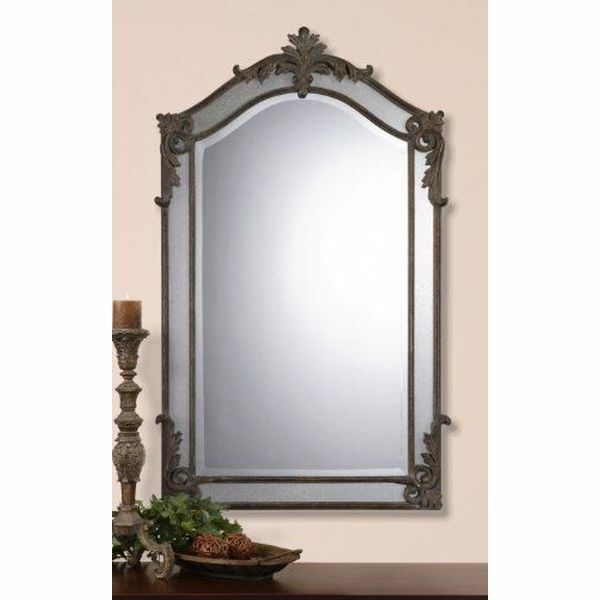 Opulent décor is added in all four corners of the mirror that give the piece a very cultured appearance. Regardless of whether you display the mirror height or lengthwise, it will look incredible inside your home. 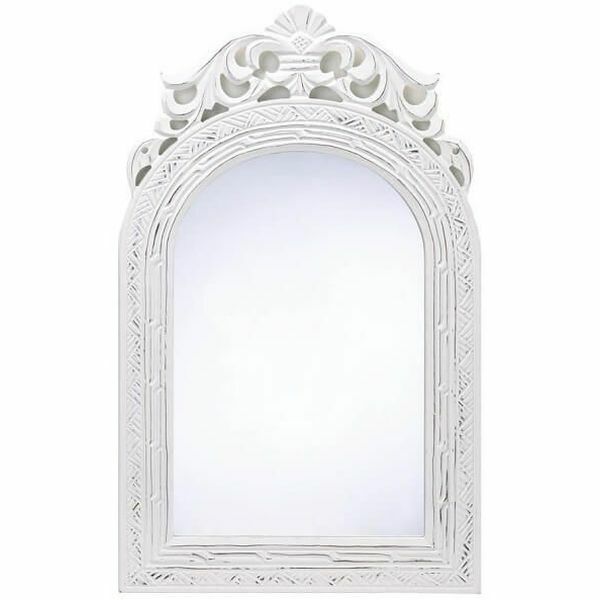 This is a nice mid-sized baroque mirror that has the dimensions to stand out with becoming the centerpiece of the room. The frame’s mirror is constructed from premium, hand-forged metal, which makes it extremely durable. Gold leaf highlights combined with a gray glaze make it easy for the piece to change the appearance of your home. As if the frame itself did not catch your eye, the beveled glass adds even more glamour to the mirror. A technologically-advanced coating on the backing protects it from moisture and oxidation. This is one mirror you cannot afford to miss out on.